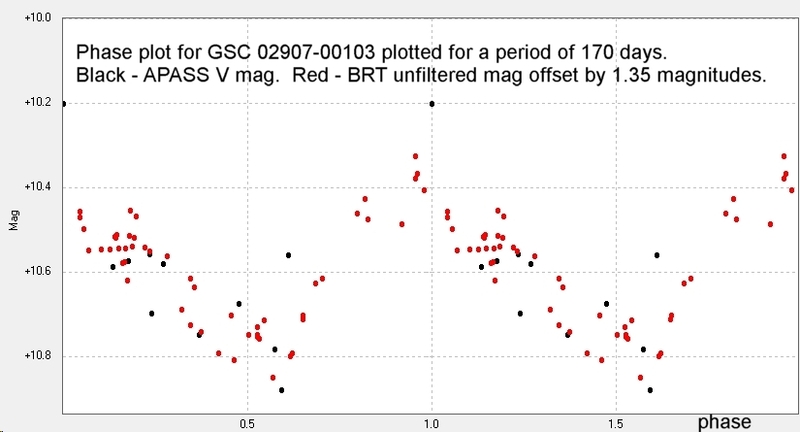 My sixth discovery, an SR type variable in Auriga. 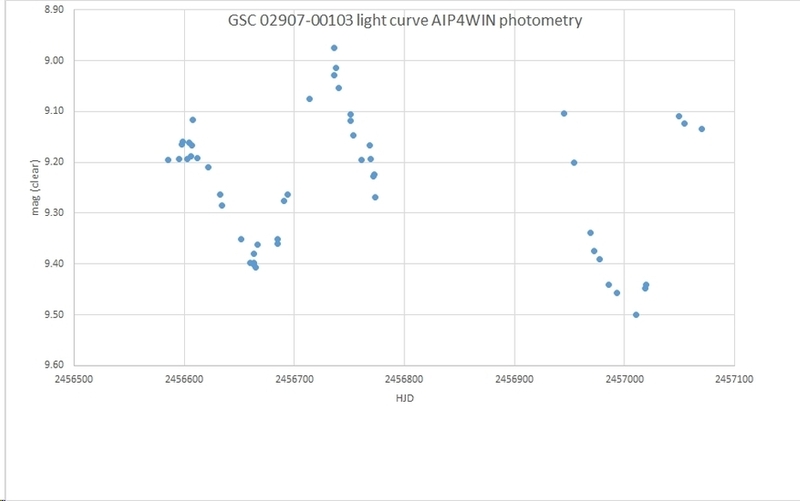 First light curve of GSC 02907-00103 and a phase plot suggesting a possible period of approximately 170 days. Photometry from images taken with The Bradford Robotic Telescope Cluster Camera, Tenerife, between 2013 October 20 and 2015 February 16. AAVSO VSX entry 2015 February 18.